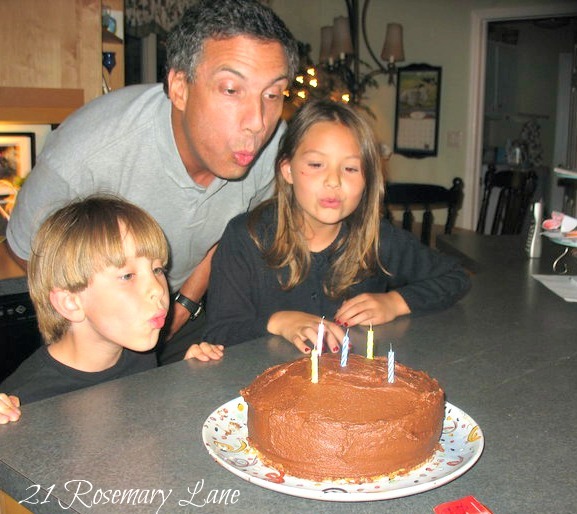 This is a photo from Chris's birthday last June...wow how the time flies! Today is going to be a crazy one as I am headed to New York in just a couple hours to spend the day with my MIL and her sisters plus and 6 of my SILs going to lunch at Carmines and then off to see the Broadway smash hit Chicago. Can't wait!!! As for Chris...well he has Michael's baseball game of which he is coaching, and then the kids have an afternoon birthday party to attend. Afterwards is the big boy scout camp out! So now for the Really Big Announcement. Dee from A Lapin Life! Congratulations Dee...I will get your prize to you as soon as possible! Wishing you a Happy Saturday and I hope you all enjoy a wonderful weekend! Who's birthday is it? Sounds more like yours! LOL! Wish him a Happy Birthday! 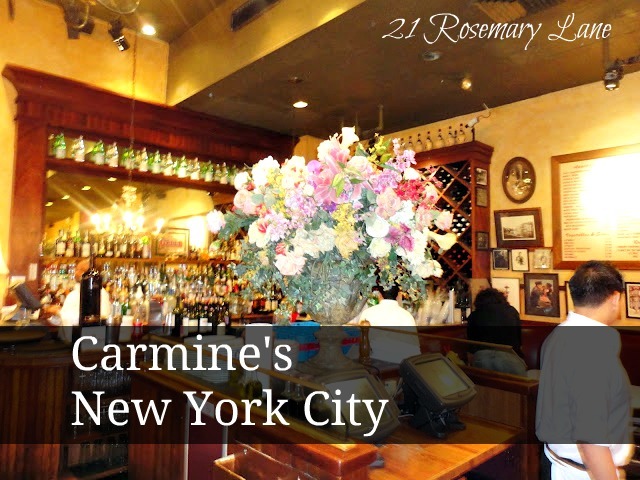 Carmines is such a wonderful place to eat. How lucky to go see a Broadway show. I'm so excited to have won the memories Giveaway!!! You have an incredibly awesome day planned ~ hope you enjoy every minute. Happy BD to Mr RL. Have a wonderful time in New York!